Kasauli is one of the best hill stations in Northern India with a calm and serene setting. In fact, it attracts tourists from different corners of the world and simply makes people speechless! It is built at 2000 meters, and the entire hill station is embedded by beautiful orchards, picturesque facades, alley paved with different kinds of cobblestones and even many eye catching gardens. There are so many attractions here that one would indeed be thrilled with the different places here. 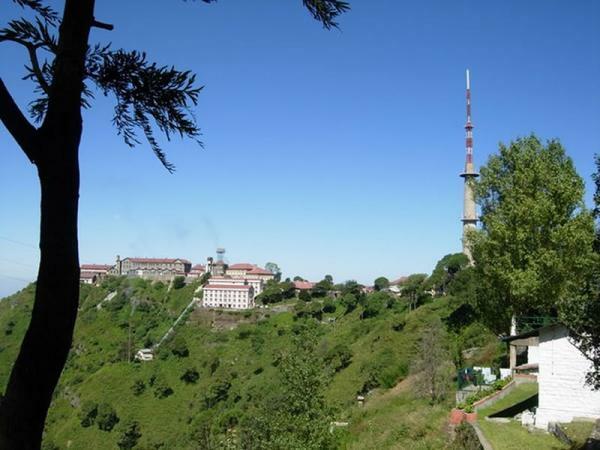 This is the highest point located in Kasauli and is located at a distance of about 2 miles from the main city. This point is located amidst the beauties of nature, and there is also a mythological significance of this place. It is believed that Lord Hanuman, stepped his foot on this hill, and a temple had also been built dedicated to him. This church is also visited by many people not only because of religious purposes, but also due to the uniqueness of its Gothic arches, buttresses and even the spires. 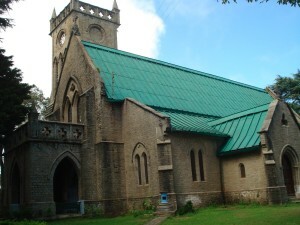 In fact, it is definitely one of the most unique and attractive churches in Kasauli. Though this is not visited by many tourists, yet it is open to people. The locals of this place consider it to be a haunted house, where after 8:30 at night, footsteps of the ghosts can be found. However, no people had experienced such situations. This is situated at the top of the Graner Hill. It is believed that childless couples who visit here are generally blessed with a child. Located at the distance of just 6 km from the main Kasauli town, it is an beautiful place where you will also find the 100-year-old Lawerence School that is considered as one of the best schools in the country. At parwannoo 20Kms from Kasauli, in the lap of the Shivalik range, there are two side by side hills surrounded by completely wooden hills. This is the ideal place to visit in Kasauli with at least a night’s halt, and the experience in cable car here is also absolutely amazing. Its the oldest British cantonments in the country. A pretty hill stationis home to the Dagshai Jail Museum, the second jail museum in India. A little cantonment town has a Gurkha fort built in the early years of the 19th century. This cantonment town quartered the British soldiers at the time of British Empire. 53 Kms from town, Bon Monastry is the second oldest monastery in the world after the one present in Tibet. You can visit Kasauli throughout the year but avoid rainy session, so best time to travel Kasauli is between April to Jun and September to November. Kasauli is full of resorts, from 4 stars to budget hotels and lodges that makes comfortable stay in the city. By Air: The nearest airport is Chandigarh located 60 km away. By Rail: Nearest railhead is Kalka in Haryana, which is 40-km from Kasauli. By Road: Kasauli are well connected to most nearby cities by buses and taxis.